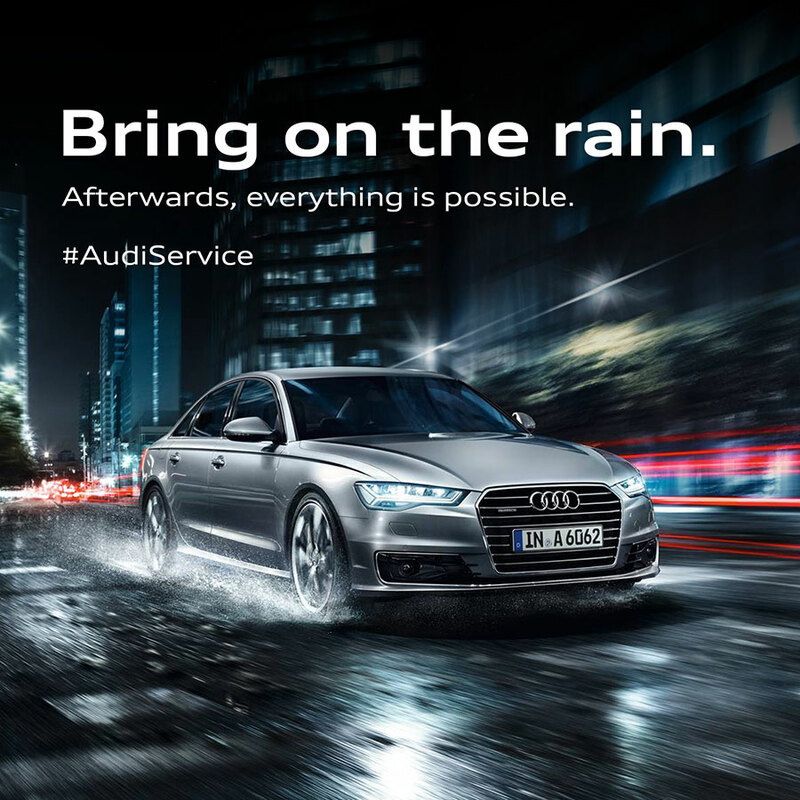 Audi, the German luxury car manufacturer, today announced a limited period Audi Monsoon Campaign ‘Bring on the rain’ across all authorized Audi workshops in India. The campaign will be effective from 6th to 16th of August 2018 where customers can avail exclusive benefits under the Audi Monsoon check-up camp. said Mr. Rahil Ansari, Head Audi India. Audi Services extended during this period will be based on a 50 point check-up. Ensuring use of only Audi Genuine Parts, customers can have complete peace of mind when it comes to the performance and safety of their car. After the service check is completed, the customers can avail on spot vehicle evaluation and attractive trade-in offers.